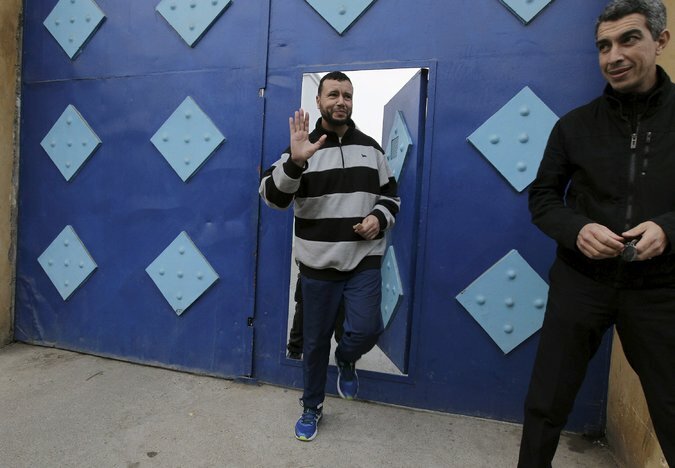 WASHINGTON — A Moroccan judge on Thursday ordered the release of a former detainee at the Guantánamo Bay prison who had remained in custody for nearly five months despite diplomatic assurances that he would probably be freed shortly after his transfer to Morocco. Though the former detainee, Younis Shokuri, walked free for the first time in 15 years, he still faces the possibility of criminal charges related to allegations that he was involved with a Moroccan Islamist group before his capture in 2001; he has denied the allegations. Mr. Shokuri’s case has drawn scrutiny because the Moroccan authorities apparently told the United States that they would most likely release him without charges within 72 hours of any transfer, but instead kept him in custody and opened the criminal investigation. His situation highlighted the difficulties that the United States has faced in paring the ranks of detainees at its prison in Cuba. The New York Times published an article about the dispute on Sunday. Two days later, Mr. Idrissi said, he asked the judge to release his client on bail. A Moroccan news website, Hespress, published photographs and a video showing a smiling Mr. Shokuri leaving the prison. Mr. Idrissi said his client had declined a request for an interview, adding that Mr. Shokuri was resting while he waited for relatives, who live several hours away, to arrive. Ian Moss, the chief of staff in the State Department office that negotiates transfers from Guantánamo, declined to comment. But he has previously said that the United States has continued to talk with Morocco. Cori Crider, a lawyer with the international human rights group Reprieve, which represented Mr. Shokuri in a habeas corpus lawsuit in the United States, said the organization was delighted. “Younis should have been home with his family months ago, but we rejoice that he will be with loved ones tonight, and hope he will see his wife soon, after 14 years,” she said. Mr. Shokuri left Morocco for Pakistan in 1990 and later moved to Afghanistan. After the United States began bombing Afghanistan following the terrorist attacks of Sept. 11, 2001, he was captured near the Pakistan border and transferred to Guantánamo.